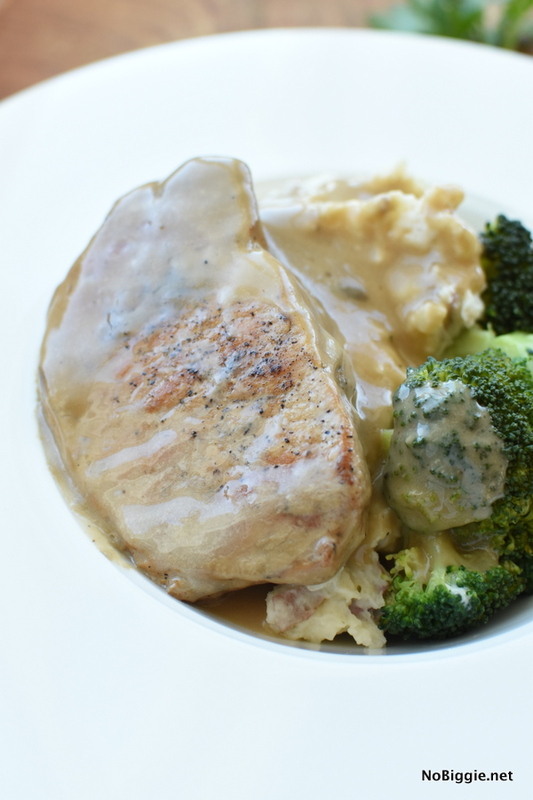 Put your slow cooker to work with these Slow Cooker Pork Chops with mushroom gravy. 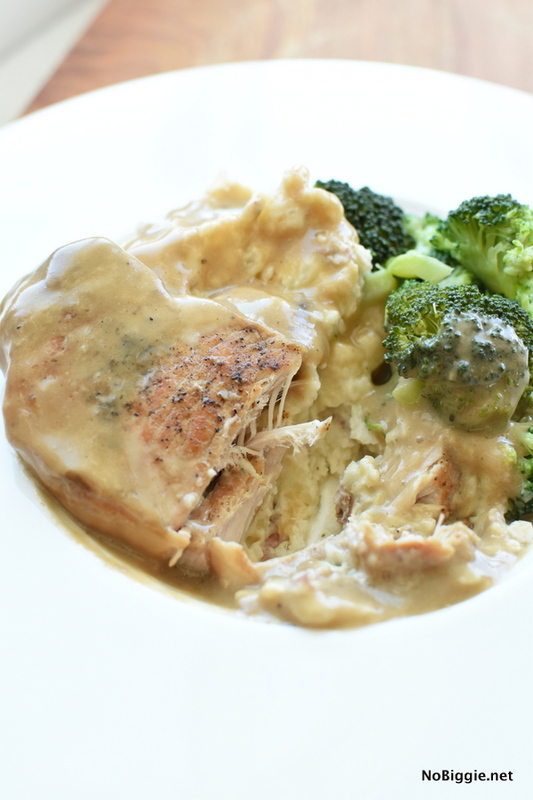 Looking for a super easy weeknight dinner where your slow cooker does all the work? This is it! 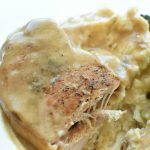 These slow cooker pork chops are loaded with flavor because they cook in a cream of mushroom gravy that you’ll serve over the top. Serve them with mashed potatoes and a steamed veggie like broccoli. Pork chops can often times be a little dry and tough, but not with this method of cooking pork chops. You will sear them on both sides BEFORE you add them to your slow cooker where they’ll cook at a low temp for hours! When it’s too hot outside to turn on your oven, the slow cooker is a great option. One thing I love about using the slow cooker is that it forces you to plan ahead, so you always know what you’re having for dinner at the beginning of the day to avoid the stress of what’s for dinner at dinner time. We’ve all been there! 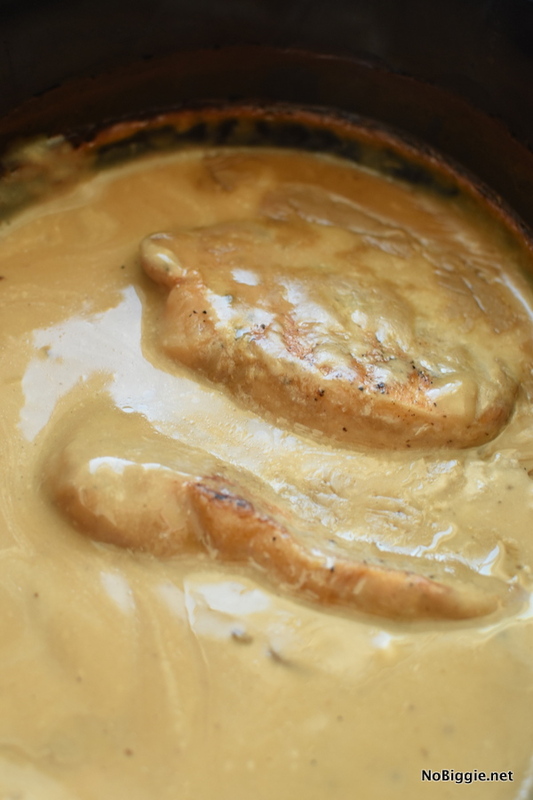 Cream of Mushroom Soup is the base for the gravy for these Slow Cooker Pork Chops. 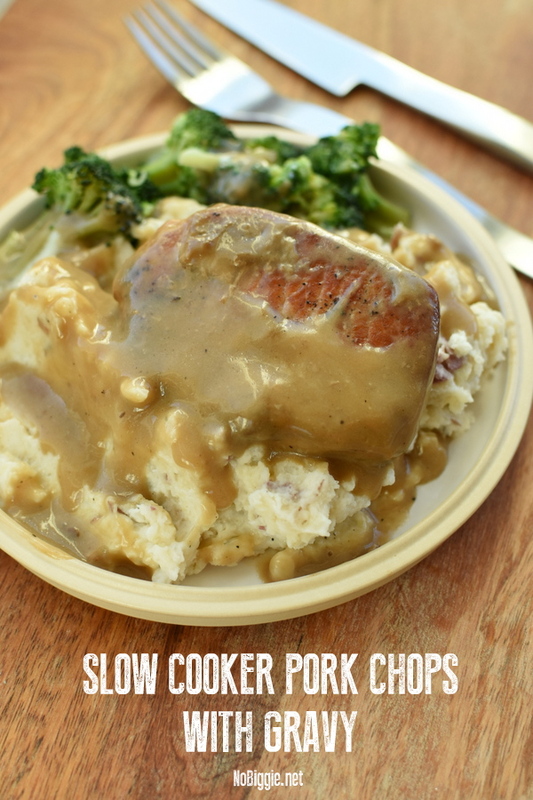 After the pork chops cook hours in the crockpot in the gravy with Worcestershire sauce it makes the pork chops tender and full of flavor. To start season the pork chops generously with salt and pepper. In a skillet with olive oil set to medium high heat you will sear them on both sides until they are golden brown. Searing them in the pan like this will help them hold their shape in the slow cooker. 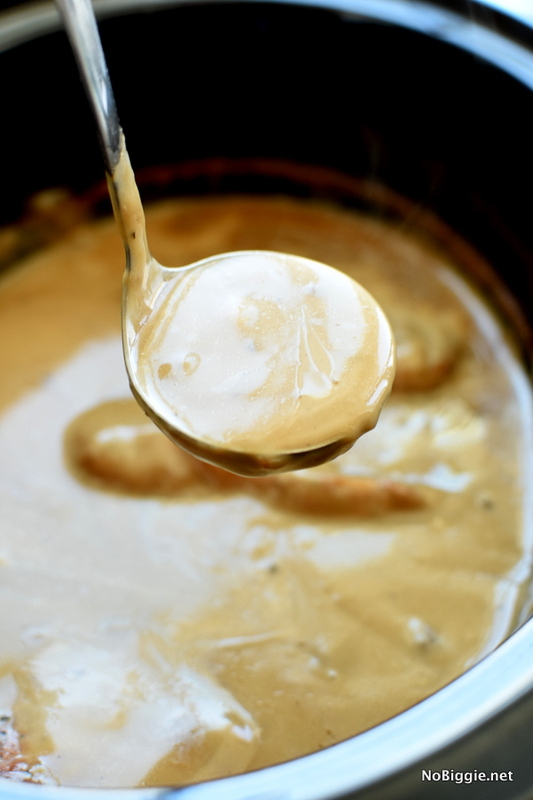 Add the soup mix and Worcestershire sauce to your slow cooker and mix to combine. These two along with the juices from the pork chops will make a fantastic gravy. Now add in those seared pork chops! Cover with a lid and cook on the low temperature setting for 6-8 hours. 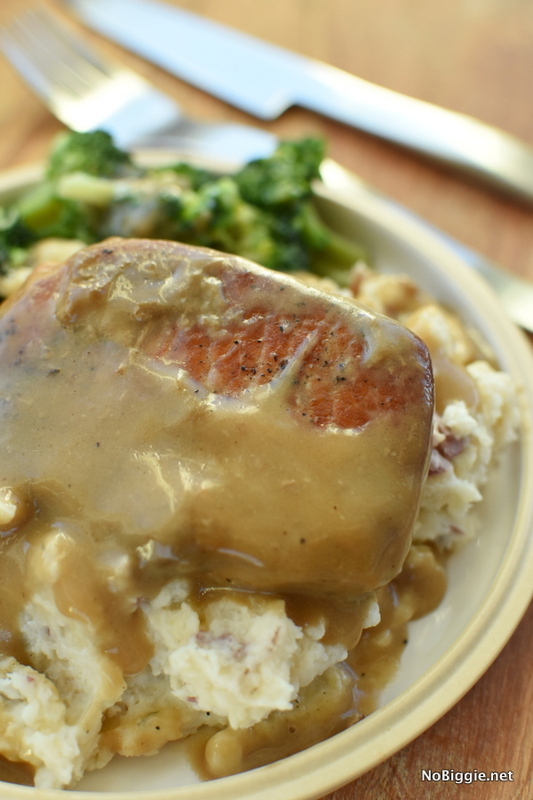 Serve them over creamy mashed potatoes and don’t forget to add lots of that delicious gravy.